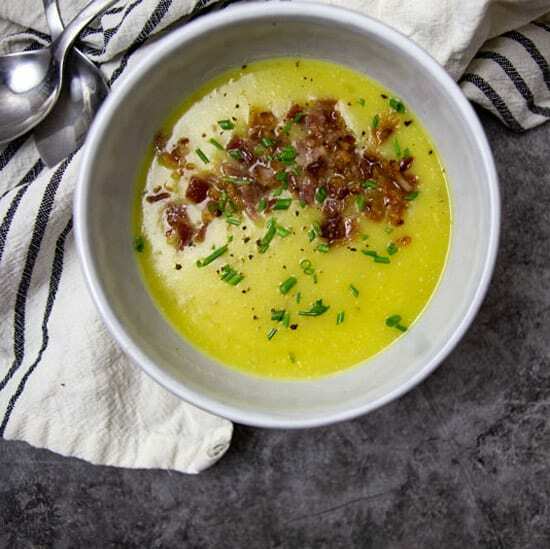 Leek and Yukon Gold Potato Soup sounds like a recipe straight from Game of Thrones… AMIRIGHT?! Which seems super fitting as the final season premier is upon us!! 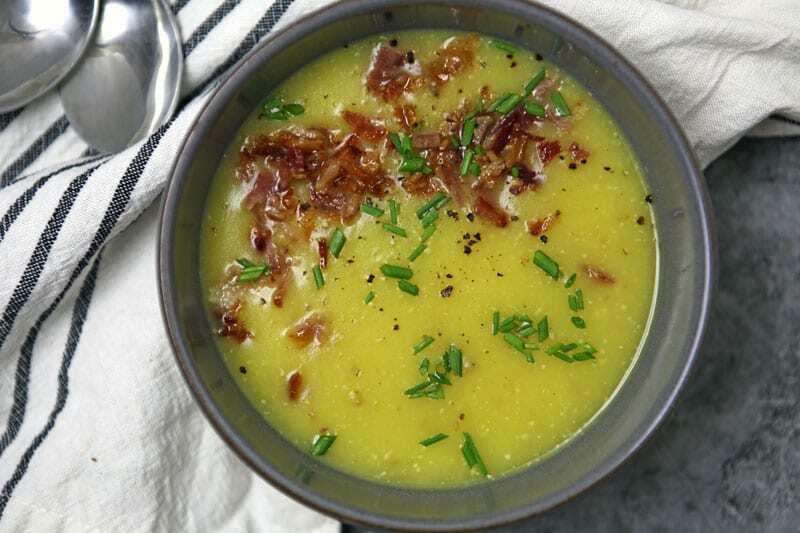 I might just make this Leek and Yukon Gold Potato Soup to celebrate! It’s pretty crazy that I avoided Game of Thrones for so long while everyone raved about it ALL THE TIME. I just thought, there is no way I am going to like this show. Side note: I have this weird complex where if a lot of people like something, I end up thinking I’m gonna hate it. Weird, but true. Well last Spring, Baylen and I binged all 7 seasons and are completely obsessed. Not only did we binge them all last Spring, we are re-binging them before watching season 8. Aggressive, yes- but. I feel like I understand so many of the snarky comments re-watching all of it. And I love it. Want another Whole30 Soup?! Check out this Detox Lemon Chicken Soup! Which means bright colors, Easter, and new foods in season! Yay! I am especially excited about leeks to cook all of the leek recipes my heart desires. Now, I don’t know if you know this but, I may or may not have deemed myself the queen of soups. 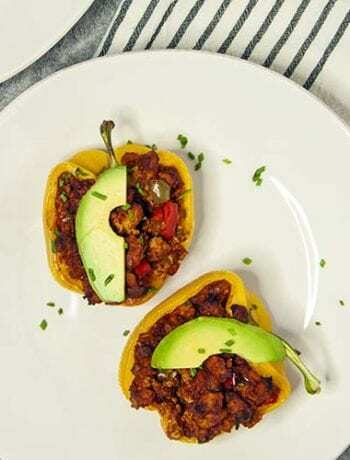 I know, I know pretty cocky… but I happen to make some pretty delicious masterpieces in all things bowls. 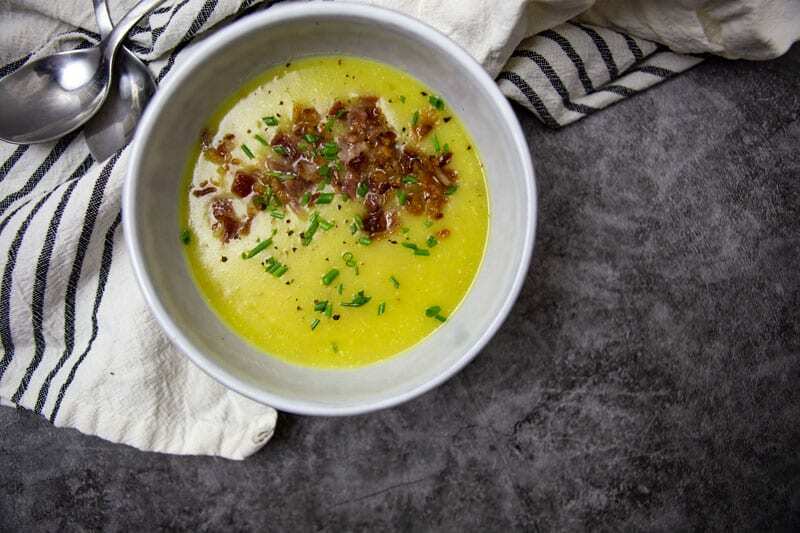 This Leek and Yukon Gold Potato Soup is no exception to that rule. 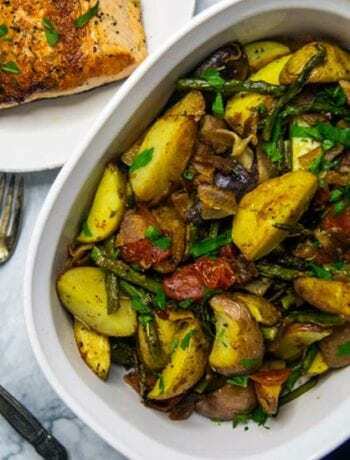 If you don’t know what the heck a leek is…. Never prepared a leek?! This post by Tori Avery is a great instruction how to break them down! Leeks come from the onion family. 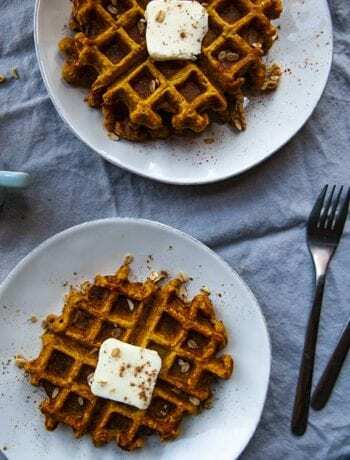 They do have a onion taste, but are much milder in flavor. 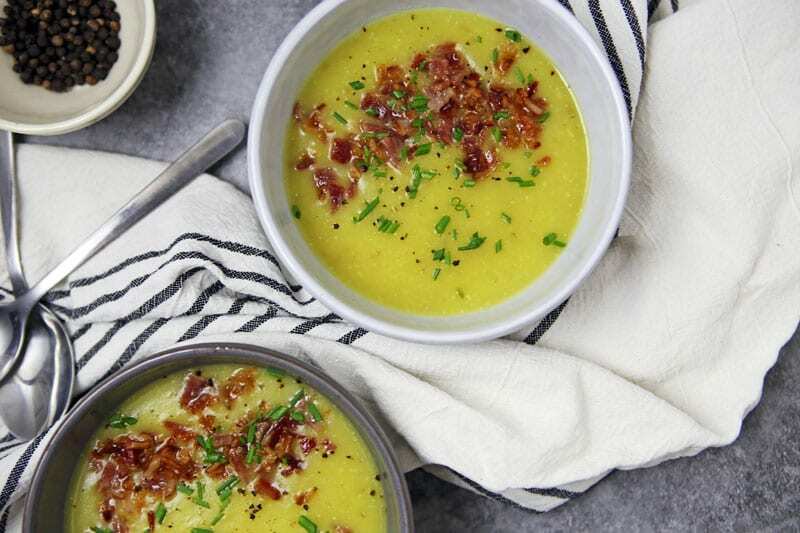 This makes it the perfect complement to the potatoes and bacon in this Leek and Yukon Gold Potato Soup. Leeks are in season until May, so I basically have been trying to sneak in as many leek recipes I can until then! 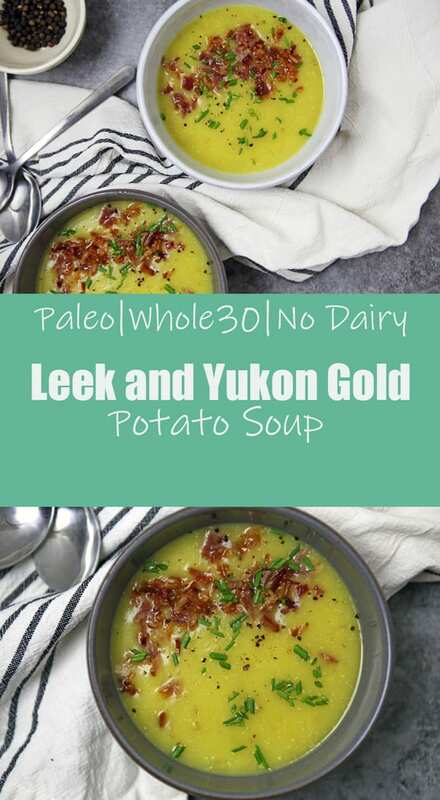 And yes, this Leek and Yukon Gold Potato Soup is Whole30 and Paleo! To make this soup creamy while being on Whole30 Nutpods came in clutch!!! The combination of the pureed potatoes and Nutpods it was a creamy, dreamy, soupy wonderland!! And if this is one of the first leek recipes you’ve ever made, it’s a good place to start!